We all know the classic networking story: you spend time and gas money to go to a networking event, give your elevator speech, listen to others' speeches, chat, exchange business cards, promise to send clients to each other "if I meet someone who needs you," and then... nothing. Some people wait for responses they never get, others follow up and get no response, still others follow up and get a reply... but seldom does all that time, effort and expense actually result in a referral. That's why I work with Matt Radin, also known as JV Man: joint venture manager, mediator and attorney. He brings groups of referral network members together in a Managed Joint Venture (MJV), matches them with people who have the same ideal client, then works with those clients to make sure they get connected with all the MJV members they need to get the results they want. I've saved countless hours of driving and networking by having Matt do the work of finding and evaluating network members for me, and he encourages your fellow members' clients to work with you, so you don't have to count on busy business owners remembering to recommend you. He also helps members collaborate to offer better and more comprehensive solutions than they could provide by themselves. If you want to learn more about Matt and Managed Joint Ventures, and to see if you qualify for a membership, visit www.libertyneverstartagain.com. - Get paid for the referrals you make, when the laws of your industry allow. Most Realtors don't realize how many completely legal opportunities there are to get paid for making referrals! Visit this page to get the details and grab your ticket. As one of the presenters in this program, I was able to get you a $100 discount, so be sure to use the coupon code "stepho" to claim your savings! If you need an all-in-one ecommerce system, AllProWebTools is a great option. It includes website hosting, a shopping cart, email marketing, a blog that enables you to post immediately or schedule posts for the future, contact import and export, and more. In my experience, their customer service is amazing; they're fast, knowledgeable, and ready to go above and beyond to make tasks as easy for you as possible. Visit their website to learn more about AllProWebTools. This service enables you to create attractive lead capture pages, and requires next to no technological expertise to use. You can attach these capture pages to email autoresponders, phone broadcasts, and automated SMS campaigns, so even if you aren't online when they sign up, the people who fill out your capture pages still get a response immediately. It also has an active Facebook group where the company owner answers users' questions. For each person you refer to The Conversion Pros, you get $20/month as long as they're signed up under you. The price of the subscription is $50/month, so if you get three people to sign up through your tracking link, you receive $10/month instead of paying. Visit this page to get the details and sign up. If you aren't comfortable with creating your own capture pages in The Conversion Pros, I'd be happy to do it for you. The price for me to create 3 capture pages for you is $364.97. This package includes a phone consultation so I can learn more about your business, brand and goals, and up to two rounds of revisions per capture page. 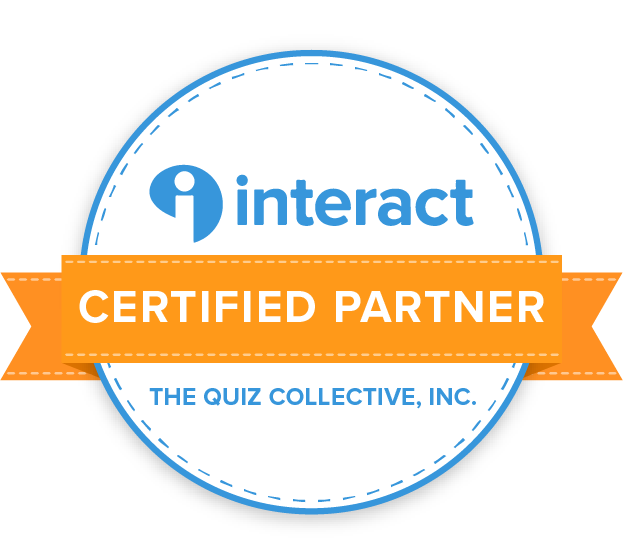 If you want to learn more about your audience, and to use that knowledge to offer them products that are suited to their current situation and needs, Interact makes it easy for you to create quizzes that assess their personality, level of knowledge, current strategies, and more. If you want to get a sneak peek at the inside of the program, I shared a step-by-step walkthrough of their system in this blog post. There is a free version as well as several paid tiers, so you can choose the package that suits your needs and budget. Visit their website to learn more and sign up. If you frequently exchange documents with clients, business partners, employees, or other business contacts, you've probably found that email attachments can be a pain to use. If a document requires multiple revisions, you can end up with several versions of the same document cluttering up your computer, and some spam filters intercept emails that have attachments, even if your attachment-free emails normally reach the recipient's inbox. Email attachments don't give you the ability to have two or more people looking at the same version of the document, so they can see, approve, or make suggestions on your changes as you make them. There's also the fact that, if you and your team are using different text processors, you might have formatting problems or difficulty tracking changes when Person A uses a different program to open the document than Person B used to create it. That's why my team and I mostly use Google Docs to manage our documents. We can share documents with specific people, keep them completely private, or make them available to anyone who has the link, and we can all work on the same document at the same time, so changes can be seen and approved as they're made. Its change tracking feature is easy to use, and you can download documents or upload files that were created outside Google Docs. Visit their "about" page to get the details and access Google Docs. This is the system I use to schedule my social media posts. You can link it to your Facebook, Twitter, Google+, LinkedIn, WordPress, Instagram, and YouTube accounts, and schedule posts to be sent out at your chosen time and date in the future. You can also choose streams you want to see in your Hootsuite feed. For example, you can pick a Twitter account, and tell Hootsuite to show you tweets that contain the hashtag #business, so you can easily retweet or schedule quotes of tweets on your desired topic from within Hootsuite. Their free tier only allows you to schedule 30 posts at a time, but their paid tiers support unlimited numbers of scheduled posts, so it's a useful option for people with low scheduling needs or a social media marketing budget. Visit this page to learn more about their pricing and features. This is the platform I used to create my first website, and its flexible drag-and-drop, what you see is what you get interface is still my favorite when it comes to website design. Even a total beginner can easily create an attractive website with this system. Some of its paid tiers include ecommerce features, such as an integrated shopping cart. I haven't personally used its ecommerce features, but they are available if you want them. 1. They occasionally roll out updates without adequately testing them, resulting in frustrating, bizarre and time-consuming bugs. Thankfully, this doesn't happen often. 2. While I found their website builder somewhat easier and more enjoyable to use than AllProWebTools', their customer support isn't nearly as good. I hope you found this list of resources helpful! If you have any questions, feel free to ask.